Motorcycles are becoming more complex and better engineered every day, sometimes understanding how the suspension on your bike actually works can seem like a complicated task. 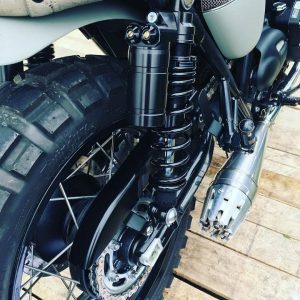 Although knowing your motorbike suspension set up; how it affects your riding and what adjustment you can make is a massive advantage. Well set up suspension will give you more comfort and control. 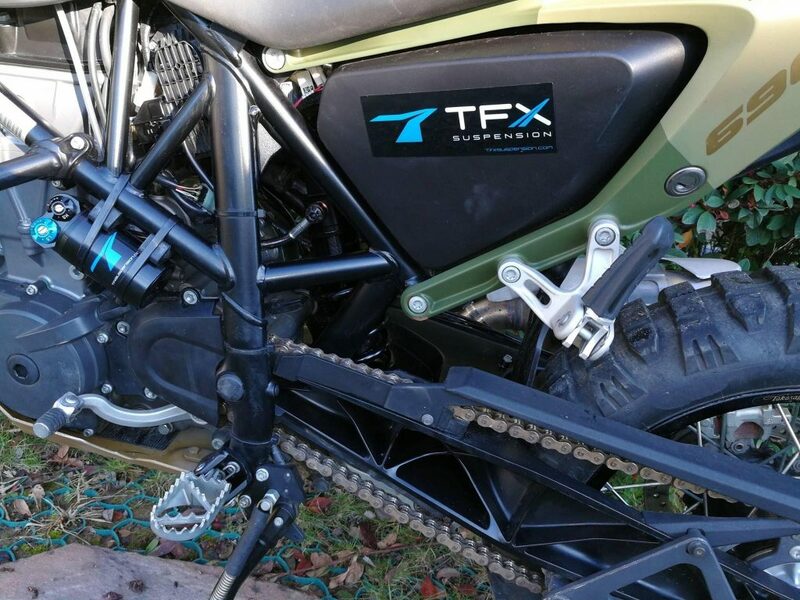 At TFX Suspension we often have people emailing in asking for some advice on how to set up their motorcycle suspension correctly, so we have created this guide to help explain. It’s important to start at the basics, so let’s do that by breaking suspension down into the damper and the spring. These two parts work hand in hand to create a pleasant riding experience and both components are essential. The spring works as you may have guessed, it holds the riders and machines weight so when you are travelling along the spring absorbs the bumps on the road or track. Of course this is just one part of the bike suspension; riding on a spring alone would not work out too well! You’d be bouncing around all over the place and completely lacking in control. So this is where the damper comes in, the role of the damper is to slow the rate of compression as it presses together which is called the compression damping. When the spring is compressed it then needs to return to its original shape and dimensions, therefore this action is known as the rebound damping. Its key not to assume your bike is set up correct, you still need to check it and adjust where appropriate. It a good idea to set the bike up roughly for your style for riding and weight, you can then play around with it slightly on the day of riding different terrain. Now we have covered the basic principles, let’s break it down a little further. Sag is how much the bike drops as the spring compresses, it refers to the difference in height between the bike standing normally and the amount the suspension goes down when you sit on the machine. There are a couple of ways to measure your sag, for example putting your bike on a paddock stand and measuring from the swing arm (close to the spindle) to another point on the back mudguard. Remember to mark your points well so you get consistent readings. Once you know what the measurement is with the rear wheel off the ground, put all your gear on and sit on the machine, bounce up and down for a while to tackle any friction. Then re-measure at the same points, subtract this number from your first figure and there you go – you’ve confirmed the sag! If it’s less than required you’ll need to adjust the preload of the shock by releasing the collar lock bolt, on the other hand if it’s too much you’ll need to tighten the preload and therefore compress the spring. Preload can seem hard to understand, but we feel it can be over complicated. If you bounce the back end of your motorbike, it will spring back up to a natural position. So preload refers to the compression the spring in under when the suspension isn’t subject to any weight. 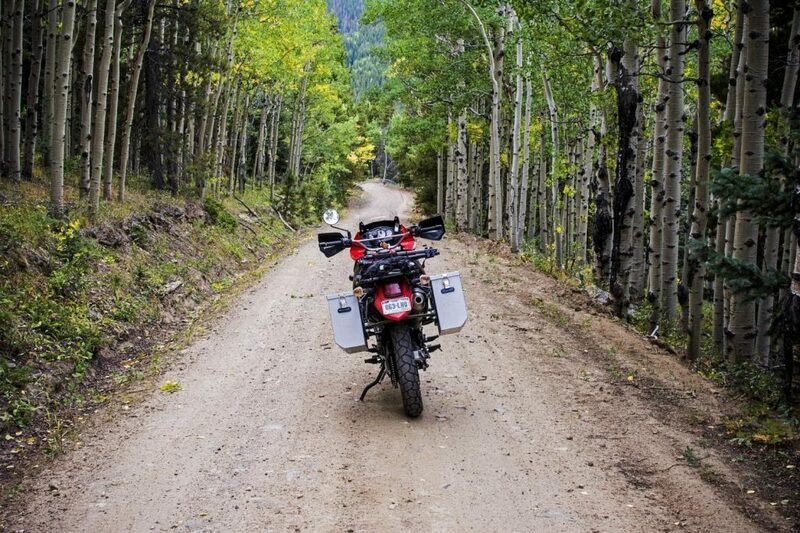 The aim is to have a good setting between the top and the bottom of its travel, the wheel can happily run over the tops of all the bumps and into the hollows of the road or trail without actually hitting the top or bottom of the suspension. This can be tricky, as most bikes have the preload adjustment tucked away right in the nook of the machine. Increasing the preload doesn’t make the spring suffer, which is a common misconception, it only increases the ride height of the motorbike. What it does is affect the point at which the energy and force actually moves. So increasing this break out force will probably make the bike feel quite harsh as it takes longer for the spring to start to react. Once you have found the right preload for your bike, you shouldn’t have to change it again unless you carry a pillion or are taking luggage. Rear suspension can be split into two: Low speed and High speed damping. What this refers to is how fast the shaft of the shock is moving, too little and the suspension is uncontrolled and too much the bike can feel harsh. If you are riding a bumpy trail for example and the wheel is forced upwards, the compression circuit controls the speed at which the suspension squeezes. The damping helps the spring from using too much travel. It’s important to balance the compression damping and spring for good handling and also combat bottoming out, while having enough movement to get over bumps nicely. If you’d like to adjust your damping check out how best to do this on your bike in your manual, but it usually involves turning the adjuster at the top of the absorber reservoir. Too much damping can result in excessive resistance to the movements and therefore you cannot use the full suspension travel. Too little the bike can feel unstable as its travelling through the full stoke. The function of rebound damping is to effectively control the extension of the shock once it was compressed; it works by reducing the energy within the spring. When a spring is compressed, is obviously pushes out a lot of force when the pressure is released, if this isn’t controlled the spring will cause the wheel to continue to bounce along until the energy is released naturally – which would take a while and be a rather unpleasant riding experience! Too little rebound and the bike will feel as if it bounces back from a compression extremely quickly, meaning you have less wheel control and handling feels awful. Too much and the suspension can feel packed down and it can’t return to its starting points before the next bump in the road.